After a year-long initial coin offering (ICO), what has perhaps become the most hotly anticipated blockchain is scheduled to launch on June 2. That blockchain is EOS, which has raised more than $2 billion in its token sale for Block.one, the company that created what’s being touted as a dramatically more scalable and user-friendly version of today’s blockchains. Those assertions rest on the project’s consensus algorithm, delegated proof-of-stake (dPoS), whereby a set number of nodes – in the EOS case, 21 – will be chosen to act as validators (or “block producers”). These nodes will take turns verifying blocks at a rapid clip, with each one taking a turn every three seconds or so. The idea is that with only a few validators it becomes easy to process lots of transactions very quickly (although there have been critics of these claims). Since these validators will have a lot of responsibility, they will, therefore, be rewarded for their work (through the governance process, the EOS community will get to decide on what the rewards should be) with newly-minted EOS tokens, similar to how bitcoin rewards miners. As such, it not only looks highly desirable financially to be a validator node but will also come with a certain amount of power. And vying for those spots (or backup node spots, which will also receive rewards) are several dozen organizations. Companies aiming to serve as block producers range from existing crypto-mining operations, exchanges, blockchain consultancies and teams of EOS enthusiasts. Candidates are spread out all over the world, but China shows the most interest, followed by entities in the U.S. This question of power has been at the center of quite a bit of debate, with skeptics, led by ethereum creator Vitalik Buterin, saying that EOS’s governance system is easily manipulable. According to Buterin in a post titled “Plutocracy Is Still Bad,” it would be easy for cartels to form within such a small system. Those spots, though, won’t be chosen by Block.one; the company merely created the software, but once the mainnet blockchain launches, the choices made over the blockchain will no longer be Block.one’s responsibility. Sure, the company may be investing millions of dollars into the EOS ecosystem, but for now, just days before the launch, it doesn’t seem to have invested in educating the community on how they can participate in its governance. Even Katie Roman, an EOS cheerleader and self-described Dan Larimer (who co-founded Block.one) fangirl, acknowledged the issue stemming from Block.one’s hands-off approach after launch. Block.one has not replied to multiple requests for comment for this story. Still, there are a few videos and blog posts circulating about how the validator voting process will work. The protocol uses so-called approval voting to designate validators, whereby each wallet can “approve” up to 30 validators and those approvals will determine the 21 “supernodes.” Voting users don’t have to pick all 30, though, but they also can’t cast unused approvals to bolster their favorite validator. Voting happens continuously. There’s no election, per se, instead, an election is constantly running. With each new block, validators could potentially get ousted. And once a token is staked for a vote, that token stays staked for a minimum of three days. This means there is a cost to voting. A user that stakes tokens to vote faces the risk that they can’t sell those tokens if the price dips or spikes. And no doubt there’s a lot of people holding EOS tokens right now hoping for a price spike right after mainnet launch. For instance, a quick scroll through the EOS Telegram channel shows that many users are excited about these potential gains. Yet, that only works if people do care about the future of the system and understand that voting helps ensure it, and aren’t just in it for the financial gain. 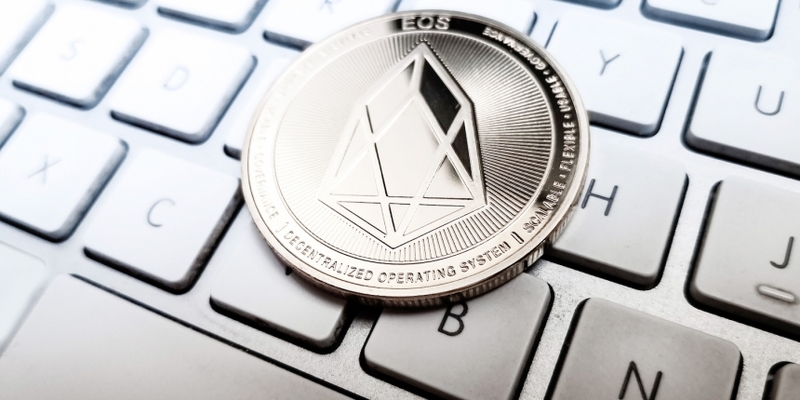 Another mechanism of the dPoS system is that a wallet’s vote is weighted by the number of EOS tokens it has staked on the network, so in this way, people with more tokens can have more of a say. Block.one’s VP of Product, Thomas Cox, wrote about this process in a blog post, acknowledging that the system does give wealthier users more power, but saying that since EOS is all about the property of financial assets, the people with the most assets should have more weight. While this type of system has proven to rub some crypto enthusiasts the wrong way, as they contend no one should have more power than any other person on the network, it is a trade-off for scale which will be now be tested. But for many in the community, just how exactly they can participate in the system is unclear. For instance, if a user wants to stake 100 EOS tokens to vote on who he/she believes to be the best validators, how does he/she actually do that? While there are several posts about the importance of voting and what kinds of issues users will be able to vote on, none tell users exactly how to vote. There is an answer, though, but it’s in the code. And as Roman noted, that’s not the easiest place for many in the community to understand. The ones that do understand it are likely those in a position to want to maximize their control over the network: potential validators. Some community members are trying to get ahead of this problem. For example, Roman is running a fundraising campaign to pay for the development of a user interface that she hopes it will be ready by the launch. And James has built an interface, but that’s only for use on Scatter. Plus, one of the biggest crypto exchanges, Bitfinex, which holds EOS on behalf of its users, took to Reddit to commit to building a tool that would allow its users to vote with their EOS. But the target date for that tool’s release was May 16, and currently, there’s been no tool launched or no update issued. Still, even if these tools launch in the few remaining days before the EOS mainnet launch, many users will be unaware they exist. Some even wonder whether the blockchain will be launched after all since without adequate voter participation the blockchain will not go live. And there’s not much time left.